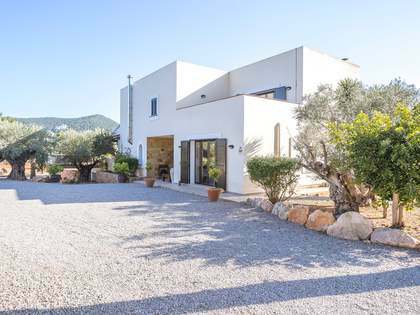 Beautiful new modern finca located in the north of the island in a peaceful and private area with panoramic country views. 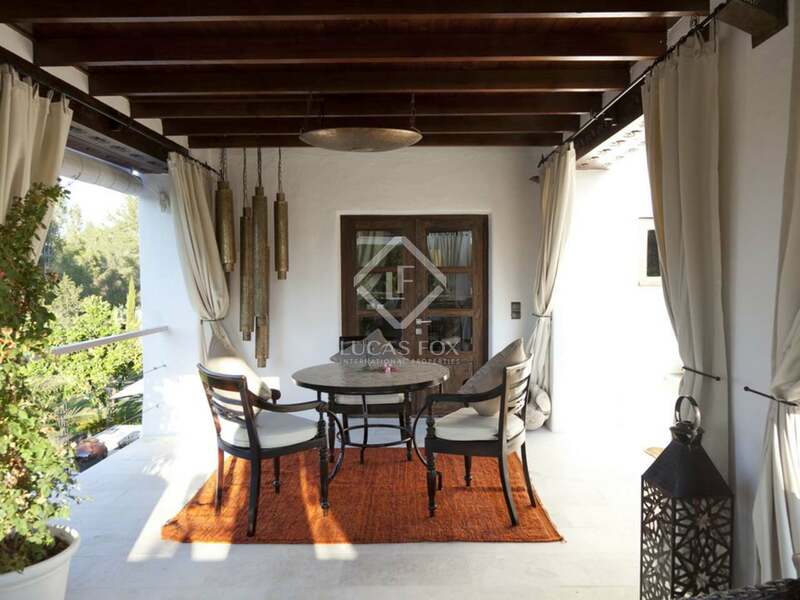 The property consists of a main villa, various guest houses and independent suites. 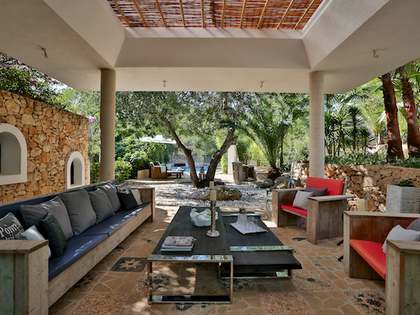 The main living area has a great living room with fireplace and leads out to the terraces and outdoor lounge area. 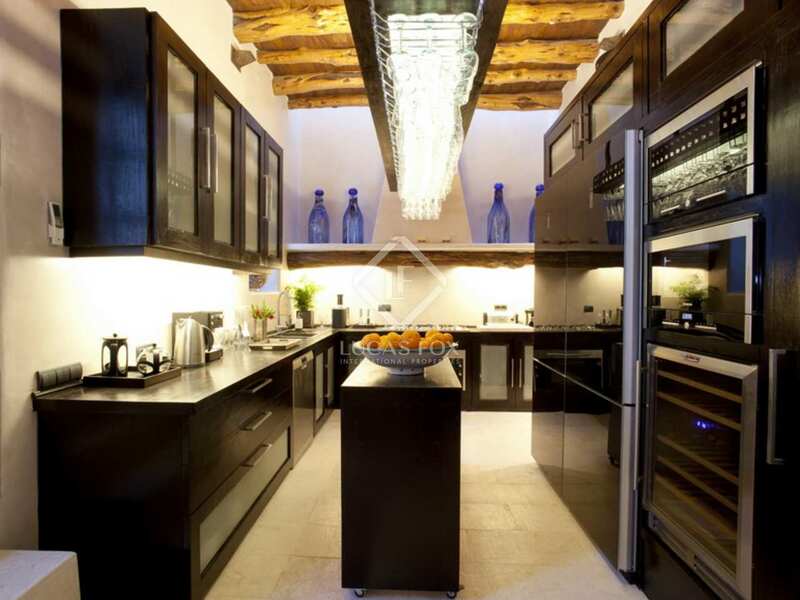 There is a fully equipped kitchen with access to a huge balinese outdoor dining area. 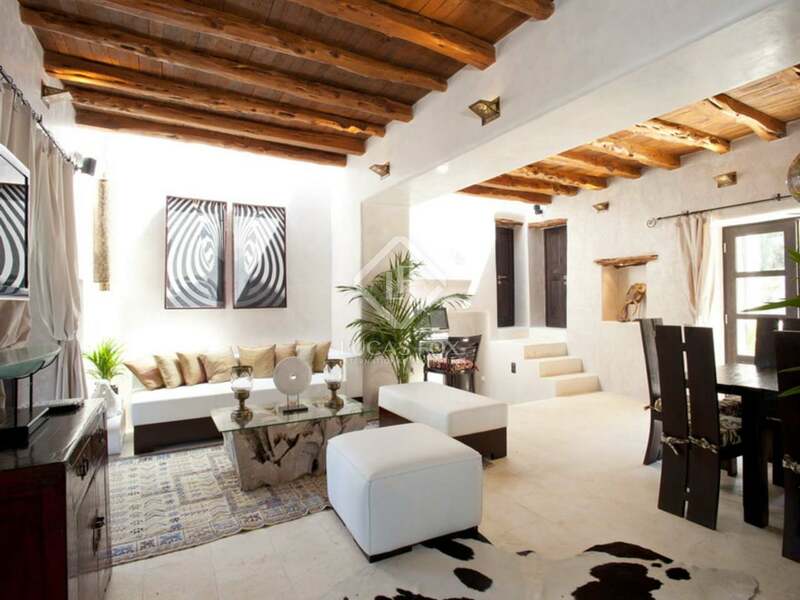 Within the main house are 5 double bedroom suites with terraces or balconies. 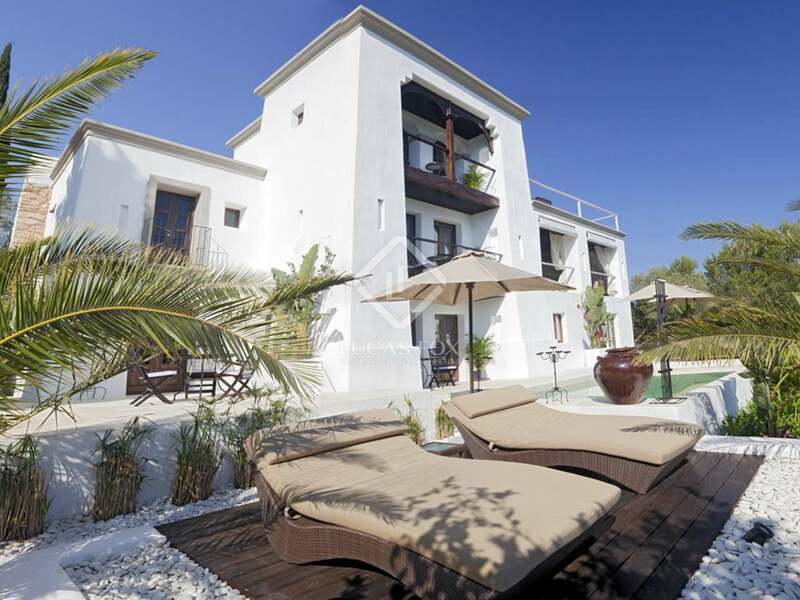 There is an independent studio with a living room, private terrace, double bedroom and bathroom. 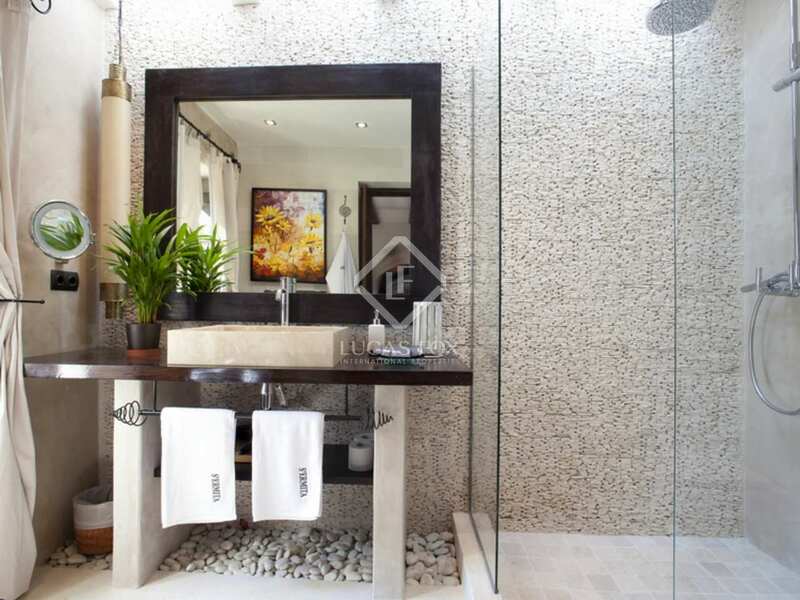 There are 2 guest houses, the first offers 1 double bedroom, en suite bathroom, kitchenette and private terraces. 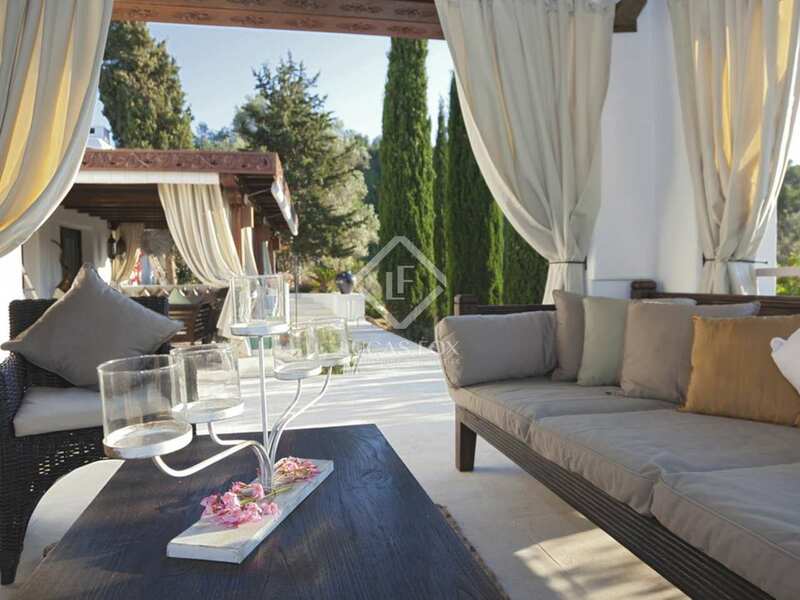 The second offers private terrace with outdoor living area, bath and chill out areas plus 2 double bedrooms en suite. 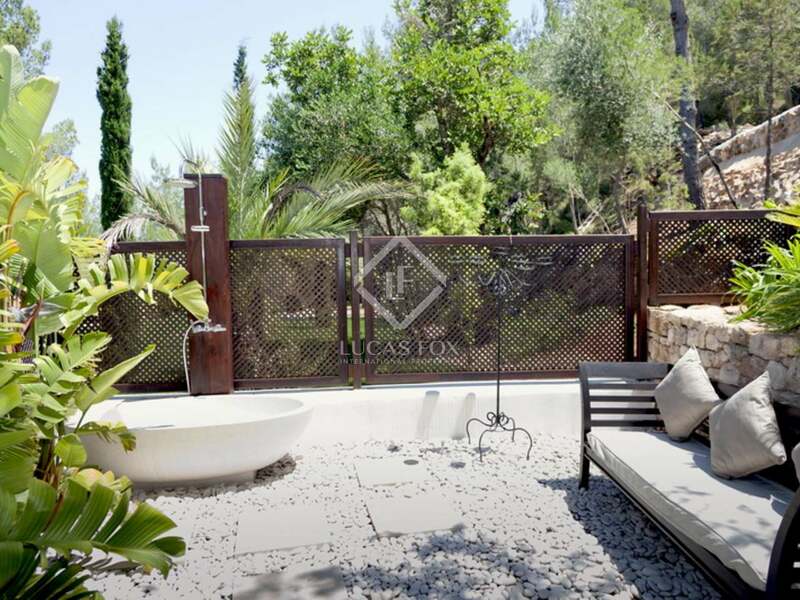 In addition the property benefits from a fully equipped gym with sauna, jacuzzi and shower room. The land totals 42.000m2 and is beautifully landscaped with mediterranean-tropical gardens and untouched forest as well as superbly finished terraces, fishponds, cascades, Balinese temples housing dining areas and many chill out areas. The pool is 8 x 3m and is heated with a beach style entrance. 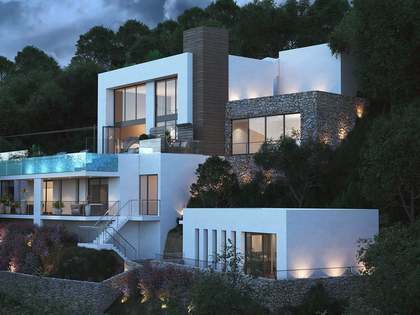 The property has been finished to a very high standard with air con/ heating, parking for 12 cars and would make a perfect rental villa sleeping up to 18 guests. 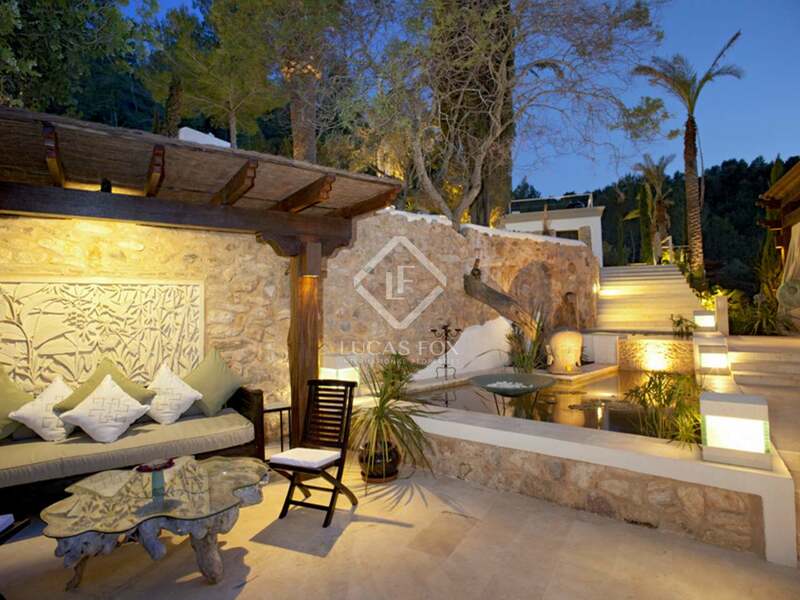 Click here to view other country properties for sale in Ibiza. 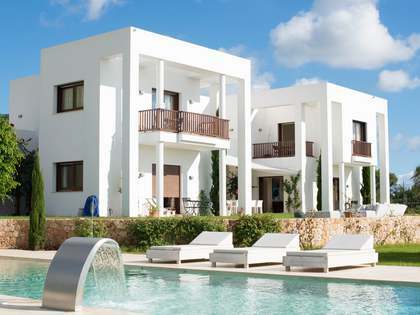 Located in the north of Ibiza, San Miguel is a beautiful untouched part of the island surrounded by rolling countryside. 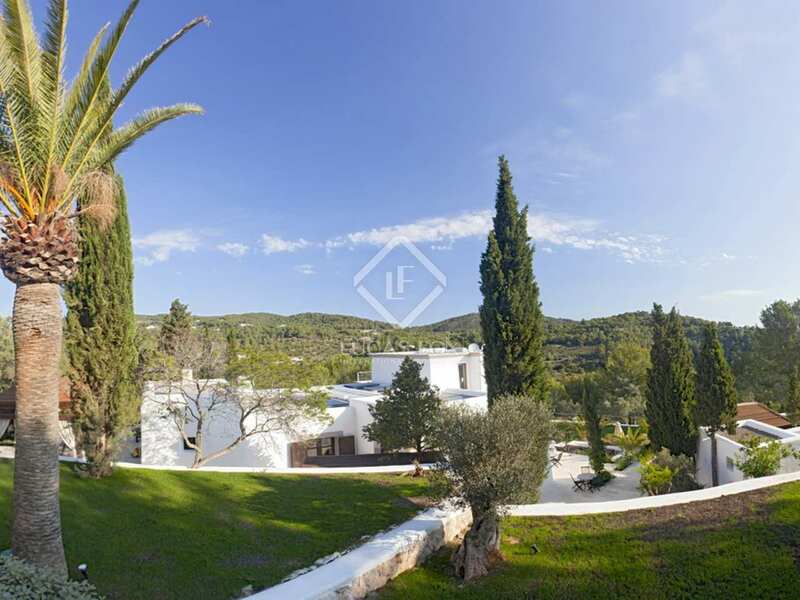 It is just north of the village of Santa Gertudis , approximately 25 minutes from Ibiza town and 30 minutes from the airport.